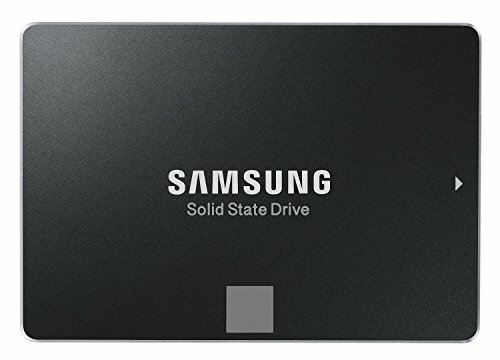 I mostly use this build for gaming, some light streaming, and some light multimedia production. This is the first PC I've built, as before this, I only had a laptop. I either needed to shell out 1700 bucks for a school laptop for college this fall, or I could bring my own desktop. I decided to do the latter. When I set out to do this build, I was looking at making a computer that looks wonderful together. I decided I'd make a black and orange build, since there's not many of them, and it's my favorite color scheme. This build is about being foxy: black and orange, and very fast and stunning. I plan on adding a kraken x61 at some point this summer, as well as potentially a second monitor (depending on how big my desk is at college, lol). When I built this, I nabbed pretty much all of these at their lowest points on sales + rebates, so it took me a couple months to get everything. edit: I have 2 monitors now, but I don't have a camera, so the pics are missing that now. edit: since building this in may 2015, the things that are new are: another 8gb ram, another monitor, a 250gb ssd, a wireless card, a new PSU, and a new headset, as well as a new keyboard. It's really hard to beat a 4690k for under $200 bucks. Microcenter is a champ. I plan to overclock this thing [my initial tests seem to show it'll do well, but I don't want to push it much on the stock cooler. 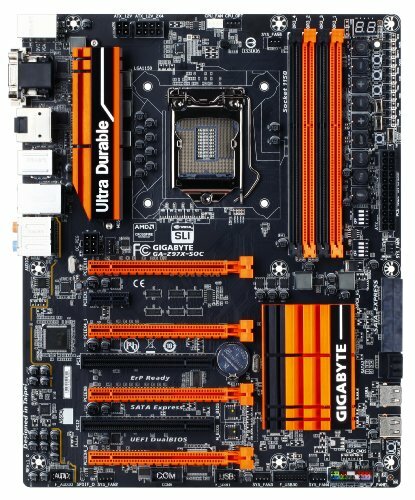 This is pretty much the only black and orange motherboard. It's also pretty great for overclocking (it makes it a breeze). The turbo button on the motherboard was depressed when it arrived, so after I turned everything on, the motherboard wouldn't post or anything. I was going to RMA this until I realized that I should probably press the button other than the power button that's lit up. Other than that, smooth sailing. Also, really wish there were more usb headers. 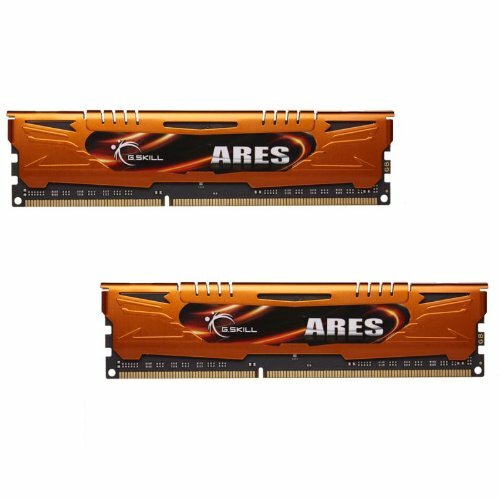 Overclocking motherboard, one header? Pretty sure most overclockers will have peripherals that need headers. Here's my benches. 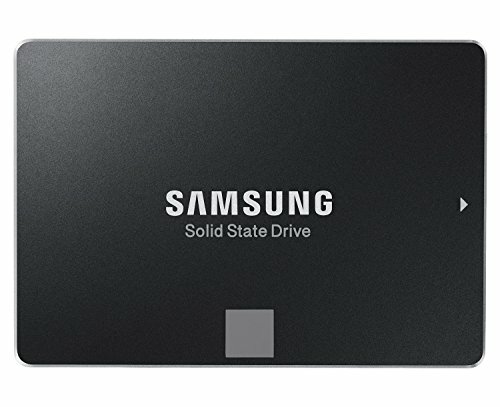 I actually got two of these (one for my laptop, whose HDD is now in my glorious rig), and they both perform equally well. It hasn't died in the first month. The R/W speeds pretty much match advertised. I kinda like this case. It's set up well, but a few things made it a pain (the psu cable managing/hiding thing is nice, but with a modular PSU, it's difficult to get them in/stay in). The foam on the back panel also makes it difficult to get on sometimes, but after enough cable-wrangling back there, it's reasonably easy to fit on [my cabling back there still looks like crap, but that's fine since no one sees it, right?]. 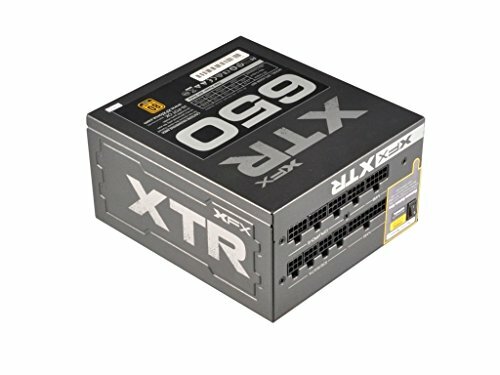 A quality modular PSU for this price point is pretty nice, but will be a bit lacking. The hybrid fan thing is pretty nice, since that + my fan controller means that my computer is almost dead silent when I'm not doing anything intensive. However, the cords in this PSU don't really like to stay put - I first slid the PSU back into the case with no cables in, but then I couldn't connect any since the PSU space in this case is too cramped. I then took it out, firmly plugged in what I needed, and then slid it back in there... and the CPU cable had popped out of the PSU. It took me a while to get done, and probably isn't the best route to go for a first build. They're quiet, they get good air flow, and they are actually orange! 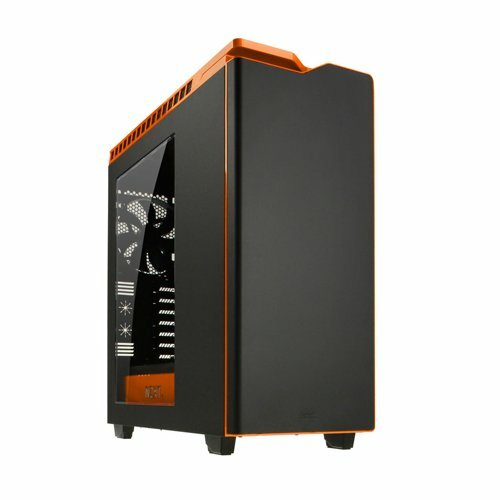 They don't quite match the orange of my case (NZXT, you make the case and the fan, come on. ), but you can't tell in most lighting anyways. Their cables are also braided nicely, which is a pleasant surprise. I used to have a logitech mouse, but it died while I was traveling a year ago, and this was the only mouse I could get on short notice. It works ok. It's not stellar, but it works fine, and it was like... 12 bucks? Something like that. Love the orange theme, it'll look great once you get your kraken. Yeah, the blue intel sticker is annoyingly contrasting with everything else right now. I was actually looking at it again and realized I don't even have another usb header for a kraken. I could probably get a cable and turn one of the internal usb ports into a header, but that'd be messy (and I think my gpu is in the way, anyways). My other main problem is that the h440 gets pretty meh airflow as it is, and I dunno what a giant heatsink would do to that. Diggin the black and orange. On a side note, if that is your dorm room, that is the nicests, tidiest dorm room I have ever seen. Nah, not my dorm room :) I'm at my place this summer before I head off to college this fall! I just added a couple more pics (front and top without the covers on) for anyone that ever reads this. cs:go (runs ~260-300 fps maxed out), some skyrim and civ 5, and I played some far cry 3. Skyrim runs at 55-60 fps (with above-ultra graphics mods), civ 5 never has missing textures from low vram (which was an issue for me before with 2gb vram), and FC3 ran at 60fps with almost everything maxed out (I think that I had to put FXAA down to x8 instead of x16? I don't really remember since I refunded that since **** uPlay). Bioshock infinite runs at 60fps maxed out. So does UT3. Witcher 2 runs at about 50-60 FPS maxed out. I haven't gotten to try Witcher 3 or GTA 5 yet, though, sadly. The one I got also OC's like a champ, but it's also the summer and I'd prefer to not melt (yet). I'm going to redo my 3dmark test since the 15.7 drivers should improve things quite a bit, just as a comparison point. So the oc 290 tri x performs like a 290x tri x? Dunno, I don't have anything to compare it with really, and I don't want to OC for long periods of time since, well, heat. That'll tie it all right in. Cam has... sorta improved since last year. It's not great but it's not awful. 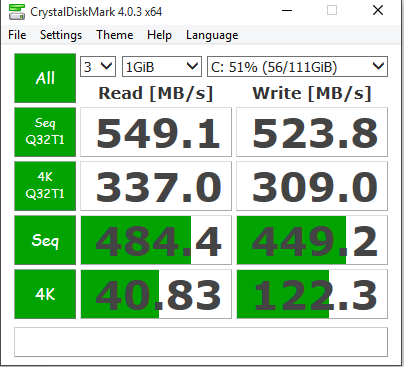 Corsair has some really nice software for their stuff. Very, very true. I think the reason behind that is that Corsair as a brand is more successful (their keyboards, mice, coolers, headsets, PSUs, cooling brackets, etc.) of which NZXT doesn't have a market as big as Corsair's, or even a market at all, thus giving Corsair enough money to hire people that special in technology development. Most likely. One of my roomies this year has like 6 mechanical keyboards (???) and is lending me his "spare" k70 lux, and I've enjoyed the software that comes with it - much moreso than the stuff I've used with my kraken or with my steelseries apex. 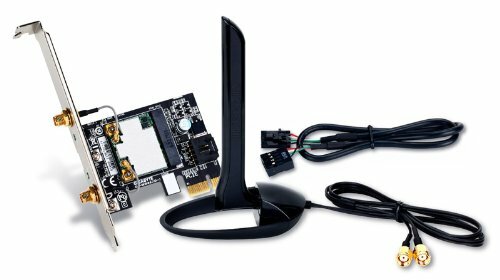 Is your monitor still doing good? Yeah, they're both doing alright. The backlight flicker on one is occasionally noticeable when the sun hits it just right, but otherwise I've had no problems with them at all. I'd heard it was reasonably decent, but I'll look into it some more, I suppose. I plan on eventually putting a clc in here, but I travel too frequently to do that easily. 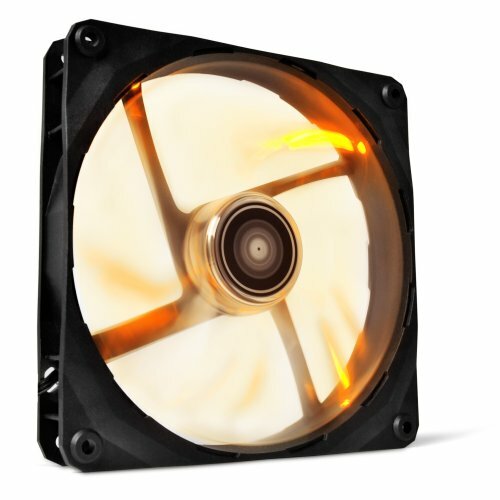 Go custom liquid cooling with gpu and cpu. Silence will have a new meaning... temps will tank and performance, even on stock settings,will remain sky high. It'll be at least a couple years until I'm not traveling frequently, so I'll probably be doing something else meanwhile. Just ordered my x61 and an internal header expander like 3 days ago ish, but I haven't been home yet to install it and update pics (I'm on vacation atm). I'm going to probably mount it at the top. I don't think I'll need to take out the back fan for that. Eh, it doesn't look like it matches the color scheme as well, plus I dunno if that'll fit at the front. Using a radiator as an intake doesn't seem right to me either.